What happened to Beatrice and Benedick? They used to be in love. They used to be together. But something got in the way and it's turned them into angry, bitter rivals that can't get along, much less work together on a project that could change everything for Bea and Claudia's little paper company. I haven't (hides self) read/seen Much Ado About Nothing yet so my review comes from a different perspective. 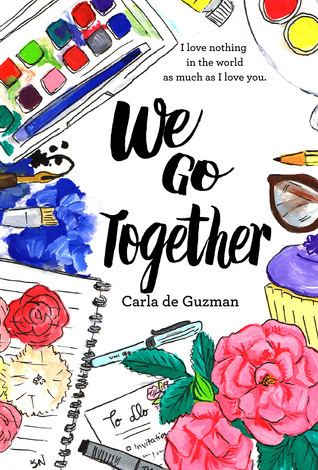 We Go Together is a very short read with around 70 pages, but even so, I was able to enjoy my reading experience. It was an easy and light read. I liked that the beginning put a lot of questions in my mind. I was intrigued about what happened between Bea and Ben.. And as the story progresses, there came answers through snippets from their past. Though not fully, I was able to understand their circumstances. The turn of events and realizations are quite hurried, making some plot elements unrealistic, especially the love realization part. I think I would have accepted it more if I know more about Bea and Ben's past. Or perhaps if I have seen Much Ado About Nothing? Hihi. But nevertheless, We Go Together is a cute and entertaining read. Despite it being short, there's still resolution between the main characters. And most of all, it made me want to read and watch Much Ado About Nothing. I was not able to get in depth with the characters so I did not relate to them very much. Though, I liked that both of the main characters' perspectives were given, making me somehow understand their cases. As for the secondary characters, I especially liked Leo. He's such a sweet brother to Claudia. Don, Ben and Hiro's colleague, on the other hand, is a douche. I don't know his game. And I don't like him. Haha! I have read two works of the author before, and I can say that she has a signature style of writing. Her style of writing is descriptive, and easy to read. I was able to picture the settings and scenes in my mind, and was able to follow the flow of events. The third person perspective, multiple POVs also helped me understand the characters. Overall, We Go Together is a fun and short read. If you have seen Much Ado About Nothing, maybe you would understand the characters more. Haha! As for me with no background, this book made me want to do some research, and perhaps, reread We Go Together after. Carla de Guzman (ck.deguzman@gmail.com) had horrible handwriting as a kid. That didn't stop her from writing, though. Riddled with too much energy and a vivid imagination, she started writing every midnight. She grew up with her toes in the sand and her bags packed and ready to go on adventures. These books are chronicles of her journeys, with a silly love story mixed in. 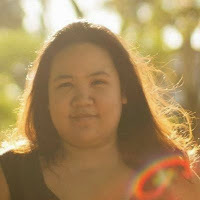 When she’s not sitting in a plane or working, Carla writes for her blog, Some Midnights, Modern Filipina and for When in Manila. Disclaimer: I got a free copy from the author in exchange for an honest review.